This 1 oz. 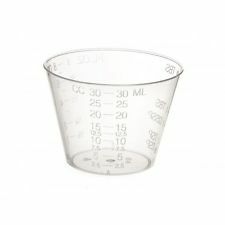 (equivalent to 30 ml) measuring cup is perfect for measuring and dispensing small quantities of ingredients by volume. It includes measurements both in fluid ounces and milli-liters. This measuring cup is a "must have" for making your own e liquid.